It's back to the good old days for the Golden Globes. The awards ceremony will have a host for the first time since 1995, featuring ceremony emcee Ricky Gervais of British "The Office fame," the Globes announced Monday. 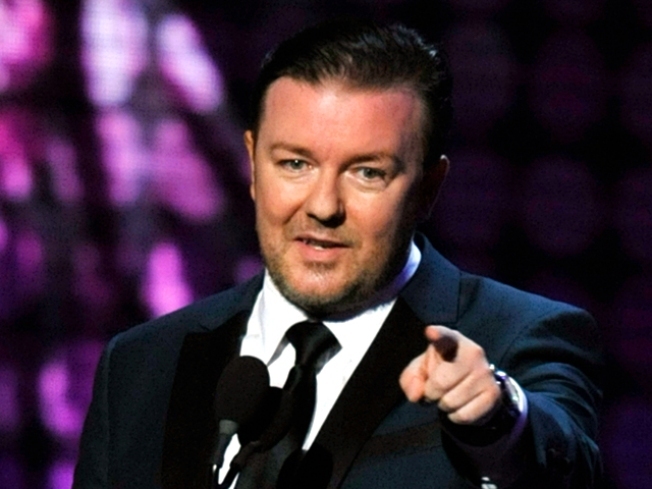 Gervais, the dry Brit behind the original "Office" series and films like "Ghost Town" and "The Invention of Lying," will be the Globes' first host in nearly 15 years. Globe organizers decided to cut hosting out of the ceremony because they felt the show had enough star oomph with presenters -- but Gervais' side-splitting appearance at last year's ceremony made them reconsider. Gervais said this isn't the first time he's been approached to host a major awards ceremony but that Globe organizers offered him the opportunity to have "free reign" as the emcee. His appearance last year was one of the highlights of the ceremony, as Gervais cracked up celebrity guests and honorees alike with his mini-standup routine onstage as he presented an award. The Jan. 17 ceremony, to be held in Hollywood, will mark the Globes' 67-year anniversary honoring the year's best in film and television.